From secluded mews to undiscovered cafes, flower markets, and tree-lined streets, prettycitylondon champions the quiet, gentle moments that allow you to escape in a huge capital city like London. If you know where to look, you will find that traditional shop fronts, vintage transport, artisan bakeries, florists, and bookstores are but a hop skip and a jump from the center, and some right bang in the middle. 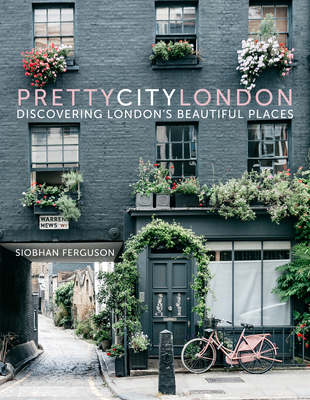 Curated by founder and editor of Instagram’s @prettycitylondon, this stunning guide also includes tips on how to photograph and plan your own prettycitylondon experience, whether on foot or from afar. Siobhan Ferguson is a photographer, a social media consultant, and the curator and founder of the hugely popular Instagram accounts, @prettycitylondon, @theprettycities, and @siobhaise.